In my opinion based on watching recent RM, JK only lose his “gentleman” guard to JH. I mean, he always maintain “safe” distance to other female guest in RM and hes famous for being the true gentleman among other male TV persona. eq, when he piggy back hyuna ( forgot the episode ) notice he make fist to avoid touching. even when ssireum with JH in the past, he always use the “safe” method by grabbing the fabric only, (thats why JH can bite or slap his chest. Lol) Also take note about the way he lock his sight on JH even when he’s with female guest. from what i learn here about JK being a conservative male and he is depicted as a tiger. I can assure you that that literally means he’s territorial and alpha, which means JH is his territory and he is the dominant figure. ( so no wonder hes being jealous when JH touch / near another male guest ) a conservative male will approach everything with analytics and deep thought, and only with JH i see him didnt use the “safe” method. And i cant think of any other reason JK doing this without thinking the consequences first is hes trying to show us that there is something going on between him and JH at this moment. As a conservative male myself, i can tell that the only time i intentionally let my guard down in front of everyone is when i want to show to the masses something and let them have their own opinion on it. I think you should go with your distinct feeling because I do. I'm pretty sure he ever listened her radio back then. He might be a fan of her radio. Here's the prove. Yoo In Na had two nicknames given by the her listeners on her radio back then, 1. Yoo D, means Yoo (her family name) DJ. 2. Kkul D (꿀디), means Honey D, because she is the radio DJ who has a sweet voice. *side note: 디 (D) is the abbreviation of DJ Let's go to that video of Goblin Special Episode. While the translation was written "I get to hear your lovely voice", Lee dong wook actually said this "오랜만에 꿀디의목소리를", which means, "after long time, (i get to hear) Honey D's voice". He referred not to her daily voice, but to her voice and tone audiences usually listened during her radio program. In conclusion, he did not only knew her nickname on her radio back then, but also recognized how her radio voice was like. *screaming inside! Before coming up with that idea, i also had discussion with my friend who are currently learning Korean and has a good listening skill, i think haha. So hopefully it will be an accurate prove. But we are indeed open for correction from another Korean learner here. ﻿ No it's not common, especially in a conservative Asian culture. A guy won't ever do that to you if he doesn't care for you because the heck, that gesture is JUST.TOO.INTIMATE. Actually - even in a not-so-conservative Western cultire, that could still come off as extremely flirtatious. ﻿ ﻿ Also, he wasn't acting the part, because he was not supposed to look like he was seducing her during the photo shoot (otherwise, In Na would act the part of being seduced, too). I read a comment here before that our boy probably felt a bit bolder at the time because it was a photo shoot, and not a video﻿ shoot - so he probably thought he could get away with it unscathed. https://forums.soompi.com/topic/432094-official-%E2%99%A5lee-dong-wook%E2%99%A5-yoo-in-na-%E2%99%A5-pichi-coupleointment-couple/?do=findComment&comment=21463556 I'd file a sexual harassment lawsuit The handrubbing & deep stare clip for easier reference: Yes even here in western culture this rubbing hand action is weird as hell for just a friend - cant even imagine how much more it is in the more conservative korean culture LOL And why would you even WANT to lovingly stroke the hand of just a friend LOL, especially when in this situation the "acting like a couple" doenst require it since no moving small gestures will get captured in a photoshoot with STILLshots LOL Actually I've experinced this w. guys suddenly trying this. And thats when I realized they liked me as more than just a friend (hell even women have tried to come unto me this way ) I think they mistake my friendliness as flirting. and my reaction: "EWWWWWW WHAT ARE YOU DOING!??!" So question: WHY THE HECK is Inna , who is part of a much more conservative culture than mine, NOT REACTING!??! If just a friend (or acquitance or stranger), her reaction should be : And same goes for that freely putting his hand close to her chest area. Actually EVEN MORE. Arm move close to FORBIDDEN AREA is inapproparitae for anyone expect a bf lol She really should be reacting like: if theyre just friends lol Now WHY ISNT SHE?!?! WAE WAE INTERESTING insight: So beside the MANNER HAND he displayed for YIN in their Goblin photoshoot by avoiding touching inappropriate place: ....Never say never. It's okay with YIN now though LOL. ALSO keeping YIN's personality and usual behaviour in mind, she is normally very professional and wouldnt allow any weird things. She certiantly isnt the type to allow this NORMALLY, NOT EVEN while acting out a couple w. her drama partners. Even the usual kisses she allows are the unexciting conservative type. Except the kisses with her ex and with LDW kisses in eps 14&15. So....What's with not only gestures weird FOR "JUST FRIENDS" , but also weird and abnormal for LDW usual mannered self and abnormal for YIN usual pro self who now ALLOWS LDW to do this too? More than friends? Likely, unless you both wanna call LDW a harasser and YIN not knowing better, which simply isnt who either is, as theyve proven with their normal behaviour with other drama partners (not counting exes)and variety co-members and overall shown themselves as kind and intelligent humans, as we who have watched their projects, variety shows, Vlives, radioshows, interviews, bts, etc. know. Aside from what has already been said on this thread id like to add and remind everyone esp lurkers that this is shippers paradise and not the individual thread of dong wook and inna. So if you dont like to read some facts, inferences and delulu about your oppa and inna being real and together or at least HAPPY WITH EACH OTHER, you are free to click the X button, go on and be happy with your life. Sorry id like to vent this out. This is the only place where i can find goodvibes on the internet because most of the people who comment or lurk here have the same wish which is to see them real unlike on IG and twitter whose different users have different biases. So stop raining our parade. Thank you. And can i just say that i am finding lee dong wook’s absences on reunion suspicious already. I hope he is just busy with produce just as what has been mentioned here earlier but he missed the second reunion. Did somebody get the memo? Hahah. Because seems like inna’s manager is monitoring the inna universe on ig thus them being extraaa careful. Hmmm? sharing with you guys one of my all-time favorite photos to chase the monday blues away! this is one of those many many pics that fuel my delulu mind if he weren't special (or if either of them had someone else special for that matter, taking this photo would have been kinda inappropriate---speaking from an asian culture, because of course, you have to respect the significant others. heheheh). so again, for me, this shows the level of closeness they have and how special they are to each other. LDW is special enough to get a candid shot in YIN's mobile phone. and to be extra honest, it reminds me of when i take my bf's photo when he's doing something cute and i want to immortalize the moment. hehehe happy monday, pichi loves! Let's imagine a scenario: You find yourself a guest at someone's house and walk past a very expensive vase. Only to knock it over! Luckily it somehow didnt break so you simply put it back and pretend nothing happened. So then you go: "OOOPS NOONE SAW THAT RIGHT?" Your eyes LOOK AROUND to literary check that NOONE SAW THAT RIGHT. The face of the giddily guilty. Or you walk and trip anywhere then quickly get up all "NOONE SAW THAT RIGHT?" Or think back to childhood. Just as the adults turn their backs you immediately put your hand in the cookie jar /or candy jar and take a couple of cookies/candies. Then you Go: "NOONE SAW THAT RIGHT?" Your eyes LOOK AROUND to literary check that NOONE SAW THAT RIGHT. ...I DID NOTHING ookkkkaaay Why do I present these seemingly random scenarios? WELL.... : "NOONE SAW THAT RIGHT?" *LOOKS AROUND to literary check that NOONE SAW THAT RIGHT. 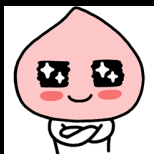 When LDW says "YIN I Love You" sneakily in the Drama Live Chat YIN also displays this "hehehheheh GUILTY"/"Hihihihi Noone saw that right?" -Face Those GIFs above are also filed under "GUILTY" by the internet. Beside me reading her expression as that, Google agrees that YIN feels guilty when LDW says YIN I LOVEYOU. Hmmmm....WHAT'S GOING ON HERE why feel GUILTY if what he just said is innocent and casual and means nothing? GUILTY for hiding your relationship/feelings? I just want to share an old interview of YIN here: https://omonatheydidnt.livejournal.com/12872408.html She said that it’s difficult for her to separate between reel sand real during the shooting of drama : “As I wanted to carry the feeling of the character, I made myself feel gloomy in real life, too. I should be able to separate how my character feels and what I feel, but it’s still kind of hard. I guess I have to work on it.” so, it’s not too far fetched to say that she did inadvertently fell for LDW during the duration of the filming of TYH. another thing that she she mentioned was that she fell asleep easily when she drinks... which reminds me of their inside jokes during katalk live when they show the scene of OYS drunk... both of them laugh at the same as if something has happened before when they drink privately.. in my delulu mind (because of their comfortable skinship) could it be that YIN has fallen asleep against LDW before when she got drunk? THIS!!! My exact same thoughts. I've always felt that something in LDW's interactions with and reactions to YIN has shifted deeper since Goblin. While he was definitely flirting and trying to get her attention during Goblin days (like if blocking her vision from being able to see something by placing youself in front of her line of vision is not catching her attention, then I don't know what is), his behavior during TYH while still flirty leant more towards "I can take care of you and I will. Just trust me" kind of vibe. It's like he wants her to take him seriously and that he is proving himself to her. I have always believed that it can take someone else's words (written or otherwise) to help us identify and understand things in our lives that we have been unable to make a sense of before. Thus, we are able to put things into proper perspective and we are then propelled, with clarity, into doing the things that have to be done. I have experienced this myself, and so I believe that much of what was written in the script must have helped LDW to think about things a lot. He did say in an interview that he is a cold(?) person, right? I mean a big part of love theme of the drama and it's script was about how to overcome something in one's personality that could otherwise be considered a deal breaker in a relationship and learning to how make the effort to make the other person feel how much you love them. I felt the drama could be a workshop of sorts for LDW. I want to believe that a lot of aspects in this drama may have given him things to seriously think about. And like what I've said in my earlier post, I believe that the break-up scene must gave given him something to seriously ponder upon, and just like what that YT comment said, "His tears were telling him something." I hope with all of my heart that both LDW & YIN open themselves up to each other and have the confidence to let themselves experience a wonderful love that is supported by a lot of people and that when then do, they make the effort to make things work and take it to the ultimate next step that is marriage. (God, Universe, Spirit, Powers that Be, please make it happen.) I apologize for the serious tone of the post and for making it a long one. Then again, this is JUST MY TWO CENTS. Pls be kind chingus. i always thought dongwook has crush on inna during goblin era. i just didnt know, how much he likes her to make a move haha thats why i didnt take him seriously during goblin era. there were times he gets shy and embarrassed?. that time, when they filmed their first scene together, when he was approached by inna to practice their scene. idk just got the feeling he was shy haha and inna always being a pro haha and then he seemed genuinely very happy when he talked about it in bts, how inna approached him to practice their lines. that their chem is better than he was expecting. like u guys mentioned, when he said to gongyoo and goeun about his first kissing scene. he looked like a kid talking about his crush. cute. hehe. and when he tries to flirt during presscon but inna just being pro but at the same time goes with the flow. hahah during tyh definitely inna is more comfortable and they look more closer. i mean no offense, there are some actors who ‘pretend’ (idk whats more suitable word) to be close for the sake of drama or bts? not saying its a bad thing tho because maybe they are just trying to have a good working environment, or for what ever reason it is. but for dongwook and inna, everything just flows naturally. even if they argue or inna getting annoyed or dongwook’s being sulky. it was just too cute haha i saw a comment in yt when i was watching their fmv or maybe their bts, i don’t remember which, ive watched plenty of them hahahha there was this comment she/he said something like, she/he feels that, for dongwook, inna can be everything. she can be his friend, she can be his playmate, she can be his lover. well i think its true. if that doesn’t scream like a perfect relationship tho hahaha inna seems to like him too she is more comfortable now than before, well obviously. hehe i dont think, when she compliments him, is just a lip service. like goeun and dongwook said before (during goblin era) its not just a lipservice but it’s sincere compliment. i just really dont think inna will pull an OJS o sunny and confess, she will just patiently waits haha its on dongwook to decide, to pursue or not. maybe he already did, who knows. or maybe not, maybe for him its more complicated than what we think, because he understands inna very well now. someone talked about it, intrariver i think? i completely agree. dude is one of the nicest guys out there. he is a catch. he might be moody at times and sulky (i find it super adorable tho haha) but he is a MAN who is kind and considerate to everyone. idk why i wrote too long it wasnt suppose to be this long sorry guys seems like i have a lot of feels this morning. haha lets just wait patiently, hoping for a good news. if not, well maybe in another lifetime? hahaha for now, lets just enjoy this moment. cheers! Translation of the ep 3 preview DM: Daebak! Even if I die right now, I would have no regrets. Ryan: Curator Sung Duk Mi, do you dislike Chi Shi An so much? You’re unable to control your facial expressions… SA: Do you know Yi Sol? Ryan: I’ve just coincidentally learned that you have that piece of art. DM: What? Is there a scandal with Shi An? DM: Isn’t that me? SA: Rather than the truth which may be hard to believe, isn’t a lie that’s easily understood better? DM: I was wondering whether I had been a die hard fan just to go through stuff like this. Brother: Don’t worry about this! DM: You’re nice. Ryan: Curator Sung, why don’t I just do it? Be Sung Duk Mi-shi’s boyfriend. So, Ryan proposes being DM's bf to get her out of her scandal with SA? LOL Ryan seems to have had a rapid warming up to DM after his initial bad impression of her. Now, it's DM who has to warm up to Ryan, even though she had initially thought Ryan was good looking, even resembling her fave idol SA somewhat. Though, frankly, I think Ryan is MUCH better looking than SA. So, in this episode, we see further reasons why DM hides her saesaeng fan status. During her initial interview for the curator job, it's clear that the other candidate is better known to the Director and would have gotten the job. However, the Director gets a phone call from her daughter who has spent a lot of money for the sake of a pop group she likes. The other applicant is sympathetic to the daughter's position of "having" to spend money in order to be able to see her fave group, which puts the Director in a worse mood. So when the Director asks DM if she's also so into pop music, DM categorically denies even knowing what they're talking about. LOL. So, revealing herself to be a devoted fan would cause her to lose her job as well as getting harsh comments from everyone she knows about how ridiculous it is that she's still such a saesaeng despite her age and occupation. Anyway, for someone who seems to have made discretion and a demure, quiet demeanor her professional persona, she seems to lash out at Ryan with some frequency, which even he had noticed prior to firing her. I like the OTP. I like the tsundere Ryan against the split personality (meaning professional/personal) of DM, and I'm looking forward to how their relationship develops. I may believe YIN seems to be a bit conservative about skinship with costars *not to mention while being with her ex i mean*, but definitely different when she was with LDW. She's being so touchy even since Goblin days. And then this "oppa" called thingy. She must started to have crush on him back then. LDW ever can read her mind and might have crush too, but seems YIN's wall still high because sometimes i found her still being cool while LDW threw flirts. And then in TYH promo, there were so many moments from Kakaotalk live which shown us how close they are. Even sometimes a bit too much skinships involved that fortunately reinforce me to keep supporting them for being real couple. Pardon me if some are ever explained here before bcz im not done yet reading from front pages, the browser didnt support me to do. While caught things about heater, appraisal each other, have each other's back to answer questions, then YIN comforted him for being sulky or even put plushy behind YIN somehow i got myself squeal a bit from those sweetness. But some moments are very special to me. 1. How LDW stared at her really mean something. The way he did it shown like this is things that he usually do almost everyday. 2. The way YIN start being sulky too because of feeling so cold. LDW found it cute, shown by how genuine his smile was. 3. When LDW ask YIN to take selca for the second time. After he patted her shoulder to take pose, YIN's left hand move to his lap *by accident maybe or even NOT* which is very private to do with only just friends. And YIN seemed didnt mind at all like this is a thing she ever did before *or maybe often *. 3. And i did wonder why LDW take selca with pose like that from behind YIN. We may know he rarely do selca but this is quiet unusual pose to do. Later i realize this pose make them so close like LDW seems to do back hug so YIN can lean on him. Even SeulGi (the MC) screamed a bit because she also realized this pose was so heart-flutter to see. I was like "really boy?? do you want to show some PDA or what? " I couldn't help but edit this moment! Created an insta account just to post this and share it here! I have been replaying this scene so many times! There's no way to cover up this interaction as friendship! Congrats LDW!!! Stll wishing for a magazine cover with YIN and LDW Chebal !!!!! "Please give me a laughter on the side." Introducing this month's poll theme, 'Side Characters that Makes Us Laugh' Apart from being the month of The April Fools' Day, we often laugh at some supporting characters who would do something that is either clumsy or just pure funny. Sometimes we fall to the ground and laugh like there is no tomorrow. A nice way to release our stress if you ask me! "Ahhh SS-STRESSED!" So today these is our nominees! Choice 1. That Best Pantene User who loves to dance, but KO-ed from a kick Choice 2. The Best Gangster friend dancing with a cool style Choice 3. The Best House Crasher as he protects people from cameras Choice 4. The Best at cleaning his household things, bought from the black market Choice 5. The Best Informant for his mother, sulking like a baby when Mom oppose A big thank you to everyone that have recommended your best side characters! @Lawyerh @Friendly kitty @Dhakra @Lmangla @triplem @Ameera Ali @Sejabin @katakwasabi @angelangie @kokodus @staygold So in my opinion one of my favourite moments that made me laugh my pants off is this! I would like to take this moment to thank everyone again for your recommendations, it was fun making this poll as I searched about the characters! See you in the next event! No one has ever accused Lee Dongwook of sexually harassing anyone, what are you talking about? Accusing someone of sexual harassment is a very serious matter. What you’re accusing Yoo Inna of doing is extremely wrong and untrue. You are spreading hate and defaming her character. Please delete your posts. Did you guys see how Hwang was looking at Kim holding Park? Jealous?? definitely tho. i have some some guy friends too. like u said its a CHOICE. and besides i think dongwook has many female friends too. lmao maybe he didnt mean it that way? or he must have explained it unclearly? dongwooksshii faster please, we are dying here waiting lol besides inna’s too precious she might get stolen by some hot guy. lol i hope he doesn’t take another lifetime to decide. I REPEAT WE ARE DYING TO SEE YOUR BEAUTIFUL BABIES. Still not convinced they’re in love? i miss our KJR and OJS.. rewatching tyh because i have no life. here’s super cute drunk OJS. wondering how inna behaves when she is drunk hahaha bet she is super cute too. should we ask dongwook? Of course dear @mrsj3n chingu!! How to forget his jerk side!! He is non-less than an animal!! He knows nothing about humanity & that's why three people died because of him! Just watched ep 15-16 & I am pretty sure that NYJ will break down the whole medical history! Director Seon, LJJ & Lee Jae Hwan are my top villains in the show! I feel like LJJ & Director Seon are both after Taekang Group!!!! Go Go Go, Na Yi Jae!!!! We are counting on you!!!!! And now I can't wait to see upcoming eps!! This is an amazing series that makes you addicted to the screen every second! The game is totally on!!! Some BTSs of upcoming scenes, I think... And their off screen bond is so precious! as for the trolls (just basing on the new accounts, obviously created just to spread discord albeit failing miserably)--- well, i'd suggest we neither engage nor dignify its posts/comments with replies. let's just report to the mods? it's one thing to comment negatively with a bit of logic and some basis, but to comment something so out of the blue, far-fetched, and utterly groundless just deserves zero attention from all the good people here. i guess our shipper thread is really rising to attract bitter trolls (who, perhaps based on what they read on this thread also acknowledge the possibility that the ship is sailing and they simply cannot take it ergo, the mindless outbursts). in any case, I've got mad love for my pichi people keeping this thread alive with positivity and happiness! Although we don't get a lot of new content or official news from the actors and their respective agencies, the shippers always have some new analysis, video recommendation, comic relief comments, and many others to share. No one blames neither of them. Anywhere..... You truly found the wrong place to create a drama. Please remember they are moderators around . Also educated yourself about sexual harassment , it's not a word to throw around . It's a serious matter and it doesn't apply in this occasion, the video was slowed down. She moves towards him so he will move because she wants to get more space for her chair - it's harmless from both sides and overplayed by the shipper thread . Where you see sexual harassment ? Are you ok? xoxoxo Nevermind your replies indicate you are a troll , i hope the mods are around and fix the matter .... Thank you. Same! After reading the recaps and all the reactions here. I went to sleep instead of overthinking or frying my brain cells like @sushilicious. Hehehe I'm dying to watch but I'm also dying to protect my brain cells here. Hmmm... annoyed with myself..
My feeling overall is that the show made the choice to underplay the harem and focus a lot more on WJ's role as the up and coming leader of the wulin community. A choice that I applaud by the way. I also realise that the show has chosen to modernize and emphasize WJ's monogamatic side with his preference for ZM clearly spelt out. As a whole it feels like the show diminished the more fantastical elements of the original source and focused on playing out many of the realities and consequences that come out of personal choices made by the characters. I never believed that YTTLJ was primarily ever about the romance. It was always something of a growing up story for a young man who was largely out of tune with conventional wisdom. That's why I'm with ZM in that WJ doesn't really belong in this world. His role was to facilitate the war and to bring about the unity among the martial arts community. After that... it's for others to duke it out. There are times when war is clearly necessary especially in defence of freedom and those who cannot defend themselves. And the truth of the matter is that it does tear people and families apart. While I cringe at the xenophobia and mob mentality, I understand all these sentiments. The people a generation above me who are still with us lived through the second world war or were born in the middle of it. I have heard the stories. Not many but enough to understand what's underlying the lifelong hatred for the invader. Still I sympathize with ZM's dilemma. I don't think she was naive in the sense that she thought it was going to be easy to be with WJ but perhaps she underestimated the hold that the Ming sect and WJ's elders had over him. Or the indebtedness he felt for them. What I think now is that she believed that if she took the difficult step of breaking with her own family and people for love, WJ could do the same. I imagine that she thought that he could walk away from all of that because she was prepared to do it. He, on the other hand, may have naively believed that he could persuade the others into accepting her because he was their leader. Or to trust his judgment. Once he decided to follow his heart, he was prepared to what it takes to keep her with him. But their hatred of foreign rule plus past history with ZM can't be assuage so quickly. In light of everything, I don't think the show can sidestep all of that. The other thing I like about downplaying the harem in this version is that it gives focus to the politics of nationalism and its extreme form of jingoism. Nationalism is a double-edged sword. It's used to unite a people but it almost always inadvertently creates a "them" and an "us" scenario. This is exploited here by the villain Chen Kun" and the vampy version of ZR. It's ugly that people can ignore horrible sins committed by others in the name of well, "at-least-you're-not-a-foreigner". The universality of justice becomes a casualty in all of this. I was deeply moved by the scene of Xie Xun kneeling serenely in expectation of avenging loved ones coming after him. One by one they approach him and then choose to walk away when he makes no move to defend himself. The self-appointed avengers are not without some nobility and at least they've been given the opportunity to air grievances. It's a lovely scene of repentance and surrender. This Qingshu is definitely my favourite. I am so sad for him but at least the show gave him a hero's send-off. He has colour and dimension even when his pallor looks unhealthy. Even in his weakness, he isn't without some measure of nobility. Sadly he fell into the hands of unsavoury characters which caused his impulsive nature to act stupidly. I am left with little doubt that his devotion for ZR and his Wudang family is genuine. I didn't have too many problems with Episodes 47 and 48 apart from the usual dissatisfaction with the martial arts sequences being predictably unspectacular. I had already sensed that the show was moving very quickly several episodes ago so it there was nothing in these two that were especially fast moving considering that there are only 2 left in the series. As I'm a bit time poor, I increased the pacing even more by speeding through some of the scenes. @patKdramaFan Nobody knows except YIN, LDW, and the staff themselves. So, here are our analysis: 1. The lighting when LDW kissed was not bright enough. It is supposed to be bright enough if the scene was for cheek kiss. Before he kissed, the lighting was fine, then it's rather darker with his sudden kiss 2. YIN's reaction: She was frozen a bit right after the kiss. Then she squealed naturally. It's as if she doesn't expect that but trying to stay on screen. 3. His reaction after kiss: he was quite bashful and became awkwardly playful. Anything to add?